WELLINGTON, New Zealand, August 8, 2013 (ENS) – New Zealand environmentalists have lost another round in their long-running battle to keep coal mining from destroying conservation land on the Denniston Plateau on the West Coast of the country’s South Island. The Environment Court today ruled to allow Australian-owned Bathurst Resources Ltd. to construct an open cast, or open pit, coal mine on conservation land on the Denniston Plateau. “The government is allowing one of the most unique native ecosystems in the world to be destroyed by Australian coal miners Bathurst Resources Ltd,” the Green Party said today. The Greens organized a protest of the decision today in downtown Wellington. “The Denniston Plateau isn’t just any old piece of the conservation estate. Its sandstone plateau ecosystem is home to bonsai gardens of rata, tussock, and pigmy pine; home to great spotted kiwi, carnivorous giant snails, and green geckos,” said Delahunty. “The only other place remotely like the Denniston Plateau is the Stockton Plateau – a place destroyed forever with decades of open cast mining. This National Government has been determined to mine for coal at Denniston from the outset, no matter what the environmental cost or the impact on our climate,” she said, pointing out that Prime Minister John Key attended the opening of Bathurst’s new headquarters in Wellington last year. The country’s largest environmental group, the Royal Forest and Bird Protection Society of New Zealand, is “extremely disappointed” by the Environment Court’s decision. “This is not just bad news for us, but for New Zealand and the future of our important wildlife and places,” says Debs Martin, Forest & Bird Top of the South field officer. 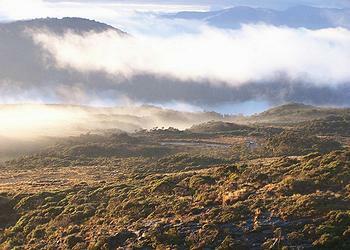 The Denniston Plateau is inhabited by the flightless kiwi bird, a carnivorous snail and two newly discovered insects – a cave weta, similar to a cricket, and a day-flying moth. The landscape looks as if it belongs in the final installment of the Hobbit movie that wound up filming late last month in other locations on South Island. “Our supporters and members from around the country, including the West Coast, will be deeply saddened by this latest decision. They don’t want an open cast coal mine in the middle of such a precious part of ‘Middle Earth,’ and the battle to save it is far from over,” said Martin, referring to the imaginary lands where “The Hobbit” and “Lord of the Rings” took place. Bathurst Resources is an Australian mining company that is relocating to New Zealand to undertake coal mining. Its shares are traded on the Australian and New Zealand stock exchanges. Bathurst is investing A$8 million dollars in the Denniston Plateau mining project and hopes to extract between 125 and 167 million tonnes of coal from the plateau. The West Cost has a 140 year history of mining and many locals welcome the jobs the mine would bring. The area targeted for the contentious mine, known to Bathurst as the Escarpment Mine Project, is near where coal was mined in the early years of the 20th century. If approved, Bathurst’s plans to mine the Denniston Plateau, north of Westport on the West Coast of the South Island, would be carried out by Buller Coal Limited, a wholly owned subsidiary of Bathurst. Bathurst first focused on the New Zealand Buller coalfield assets of L&M Coal Limited. An initial joint venture was followed by 100 percent acquisition of L&M Coal Ltd. in 2010. The company was renamed Buller Coal Holdings Limited, which later became Buller Coal Limited. 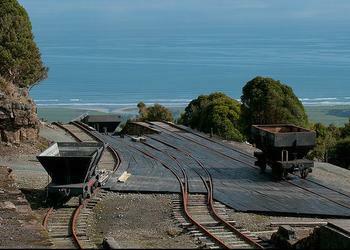 The Buller region on the West Coast of the South Island accounts for about half of New Zealand’s coking coal, and the Buller Coking Coal Project is Bathurst’s flagship project. The Buller Project is opposed by environmental groups not only because of the increased greenhouse gas emissions it will cause but also because of the damage it will do to a unique coal measure ecosystem on the Denniston Plateau, which is an area of extraordinary biodiversity with many species still not discovered or described. Ecologist Sir Alan Mark, an emeritus professor in botany at the University of Otago, and wildlife photographer Rod Morris, refuted the claims of Bathurst CEO, Hamish Bohannan, that the impact of mining would be temporary. The outcome of Bathurst’s application to mine the Denniston Plateau must await two court rulings. The Supreme Court’s decision as to whether climate change is a relevant consideration could change the outcome, and so could a Court of Appeal decision about whether to take into account the cumulative impact on the plateau of Bathurst’s proposed mine, and the nearby Sullivan Mine. Another consideration is safety on the road from the coast up onto the Denniston Plateau. “Bathurst does not have permission to use the public road up to and on the plateau for its coal trucks,” Martin said. A Department of Conservation report on an application for 92 daily truck movements expressed concerns about the risk of a collision between a mining truck and a vehicle driven by a visitor to the conservation land on the plateau. Bathurst has expanded the scope of its mining interests in New Zealand while awaiting the outcome of the legal challenges to its Buller Coal project on the Denniston Plateau. Recently, the company has obtained new coal mining exploration permits in Canterbury, Otago, the West Coast, Tasman and Waikato. A mineral prospecting permit has been granted to Bathurst for an area of nearly 330 square kilometers on the West Coast.